There are many reasons Good Friday is a sad day for me. It’s the day I lost my grandfather when I was 14 years old. It’s the day my Savior died. It’s the last day I spoke to one of my best friends. So… not my favorite day. The sorrow of the day is only compounded by my tradition of watching The Passion of the Christ. Why do I torture myself when the day is already sad? Because I believe that in order to fully experience the joy of Sunday I must enter into sorrow of Good Friday. We need Good Friday, or Easter Sunday just becomes a day of eggs hunts and dressing up in our Sunday best. We need Good Friday because of our sin, not just our salvation. (We simply can’t have one without the other.) 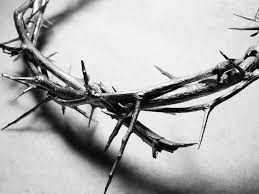 We need Good Friday because God’s wrath is fully expressed on this day, so his mercy means all the more in the days following. We need Good Friday because we needed a Savior. And God gave us one.